Update: On Monday, June 13, Kanye released "Champions" from Cruel Winter, as the song is officially titled, on iTunes, TIDAL, and Spotify, so if you missed the radio premiere of the G.O.O.D. Music collaboration, then you've got no reason not to listen to it now. Earlier: Kanye West has dropped a morsel of new music into our consciousness and it almost feels too good to be true, doesn't it? Considering DJ Khaled and Drake have already rocked our world, this feels like the cherry of top of another long week. Soecifically, his latest single, titled "Champions (Round and Round)," premiered on iHeartRadio's Big Boy 92.3 on Friday. Let's be real for a minute: this is a stone-cold, chilled out, aural equivalent of power suit kind of summer anthem. "Round and Round" is one song that needs to be on everyone's playlists for the next few months. Boasting a handful of the hottest rappers of the moment giving us some great verses, you can throw this on while you're pre-gaming, driving or hanging out poolside. It's not only Yeezy that's on "Round and Round" either. Rather, this song is overflowing with talent. West is joined by fellow G.O.O.D. Music artists Desiigner, Travis Scott, Big Sean as well as 2 Chainz, Quavo and Yo Gotti. Whoa, that's just too much talent to handle. "Round and Round" is, ostensibly, the lead single off the upcoming Cruel Winter mixtape which leaves me wondering: When will we be able to buy it on iTunes? Look, I love SoundCloud as much as the next person but it can be a little onerous repeatedly wading through the site to get to this fire single. As an avid fan of Apple Music and iTunes, I'm ready to click "Purchase" and start spinning this track endlessly. Well, if The Life of Pablo is any gauge of how West will go about in releasing "Round and Round," it's uncertain whether the song will be coming to iTunes any time soon. 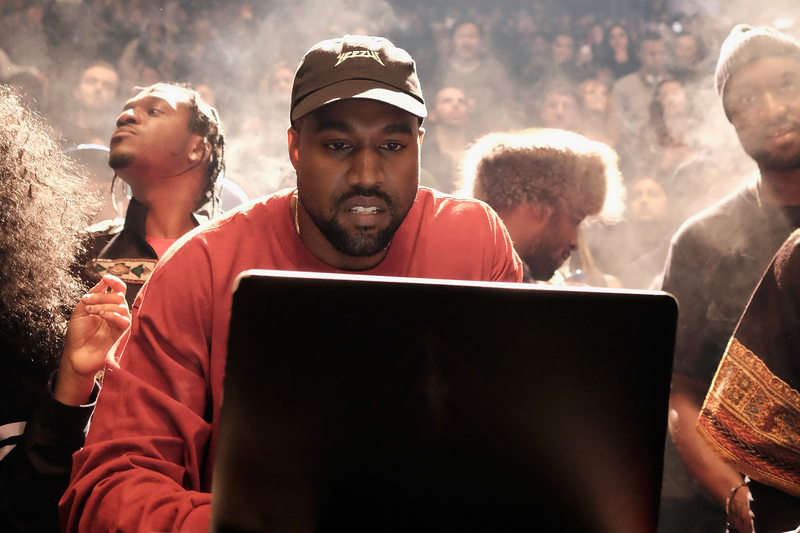 In the case of Pablo, the album bounced around from exclusive streaming service (TIDAL) to another streaming service (Spotify) to universally accessible (available to stream and purchase on iTunes); there may be a chance that "Round and Round" will not be ready for public purchase anytime soon. Considering that "Round and Round" was a relatively surprising drop, we may end up waiting a long time for Cruel Winter. Why? While the full Cruel Winter could literally come any day, it feels highly unlikely. There are still no reports of how this first big single will be made available, be it iTunes, on Spotify or Tidal. West has yet to comment on whether "Round and Round" will be coming off Soundcloud and onto iTunes. Fingers crossed that he gets his act together — and quick! — because I think I speak for all of us when I say we are chomping at the bit for this song and Cruel Winter ASAP.